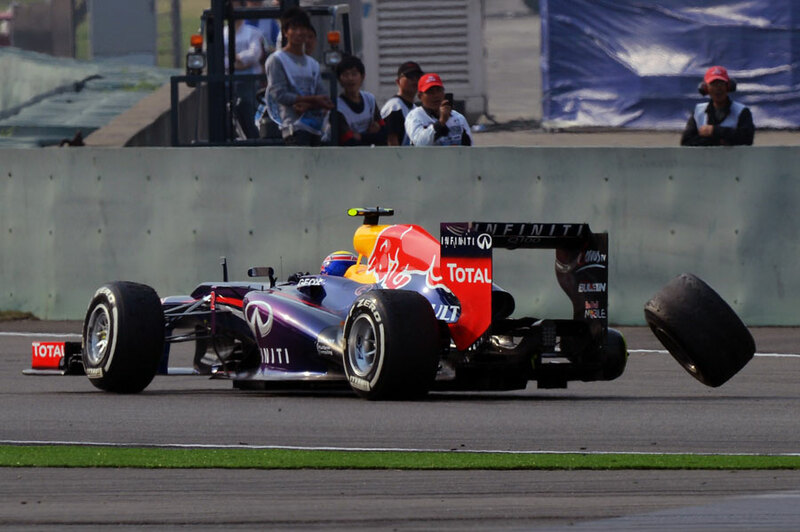 This was just a funny story; I was in the paddock and I saw Mark heading over towards Jackie. At the time Jackie had the hat in his hand – he doesn’t always wear it because it’s quite hot – and so Mark said “Here, I’ll try it on”. It fitted perfectly! It didn’t take long for Jackie to grab it back though. It was a funny moment and nicely timed as Mark has obviously been on a bit of a downer recently with all the issues going on at Red Bull, but it was his 200th grand prix start and he was in a good mood all weekend. Jackie was busy later in the weekend waving the chequered flag, and it was ironic that Vettel won as the victory took him past Jackie’s record of 27 victories. This was the media team party, which is not normally very well attended to be honest. But I think this year it had been advertised better in advance, there was a DJ laid on and fresh local food. The paddock club brought their drinks from downstairs and it went on until about 9.30pm on the Saturday night. Lots of people do Run That Track on a Saturday night so I think a lot of them stayed after that, and it was a real success. You can see the how relaxed it all was and Shisha pipes were being smoked. The hospitality was great as it was trying to keep the media on the right side with all the events that surround the race. It’s the ninth year we’ve had the grand prix in Bahrain and the track was obviously built in the desert; all the asphalt actually came from England. 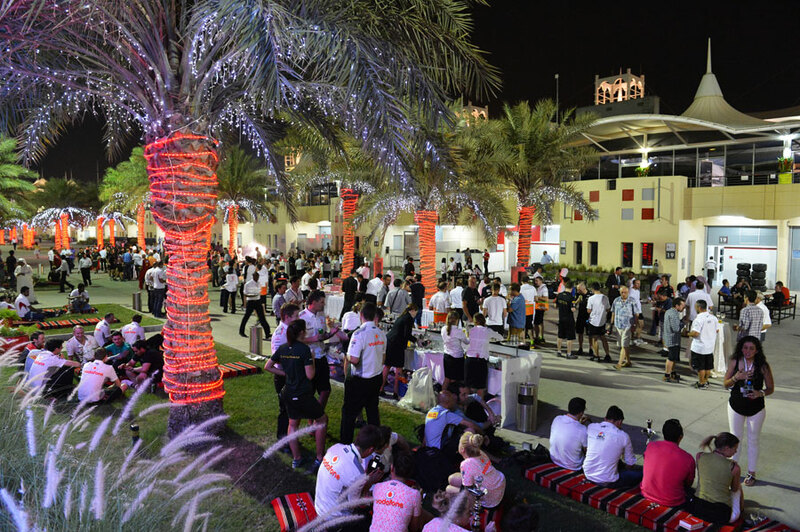 Originally the only palm trees were in the paddock – which is meant to be an oasis – and the track was left as a desert, but when they used the extended track in 2010 they put the palm trees in. It just gives us a nicer background and is great for pictures. 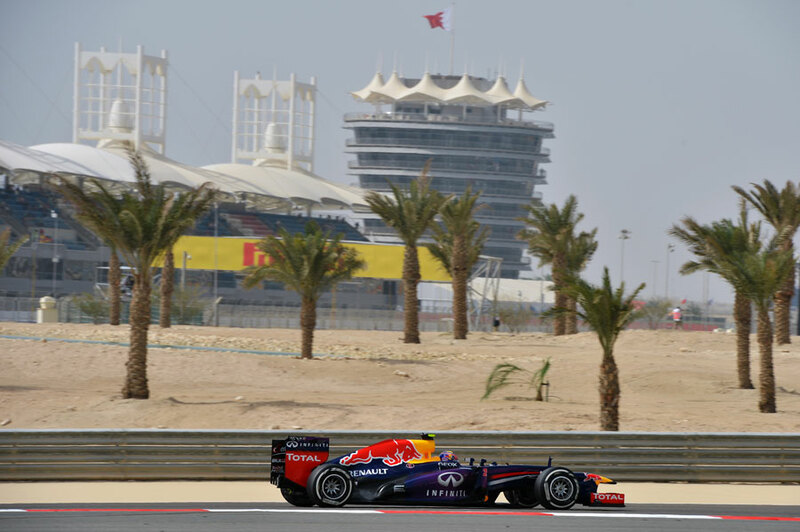 It’s awesome because I was able to get everything in to this shot, it’s instantly recognisable as Bahrain with palm trees, desert, the tower and grandstand all in the background. You don’t get anything at all like this anywhere else. This shot taken from Turn 2 just shows how close the leaders were to each other before the DRS kicked in. Rosberg was able to hold off Vettel for a few laps but it was good to see that you could still overtake without the DRS as Vettel made it to the front. As soon as the DRS was activated then Rosberg started dropping right back, but at this point it was more based on driver skill. The DRS still helped though, as I saw some great battles between the McLarens and nice moves from Kimi in to Turn 1 as the race went on. 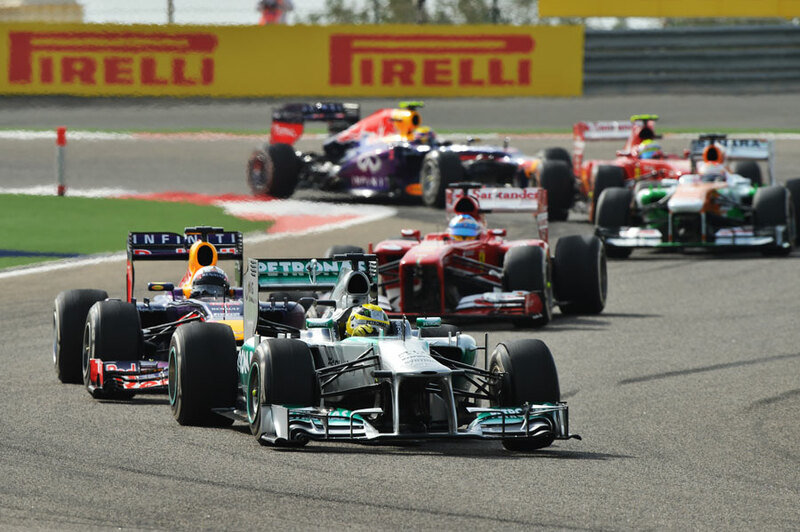 It was a strong weekend for Paul di Resta and he managed to equal his best-ever finish of fourth place. I was doing the pit stops and here I’m stood in the gap where the mechanics file through on to the grid, so that allowed me to get down to ground level. I was kneeling down just as the car was coming in to pit and that allowed me to get the kind of view the mechanics get; I’m at their eye level. 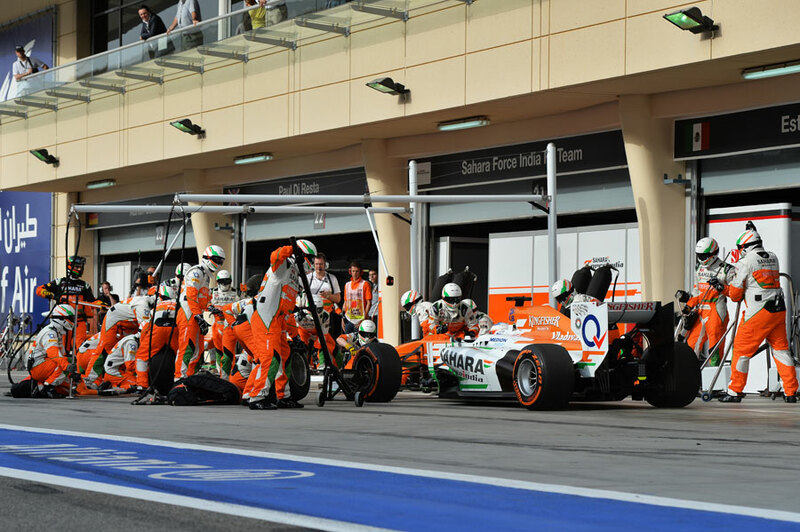 The Force India colours are great and the orange is very vivid – our own Sutton Images logo is orange too because it really stands out – and you can see how many mechanics are waiting for Paul here. I like doing the pit stops as you never know what might happen, and the Bahrain pit wall is wide enough to move along easily. This is a very special picture beyond being a nice shot because it’s actually our 900,000th picture that went on to our website! It’s obviously a great celebration for us and it was a nice shot too. I was head-on doing the podium, and then as Vettel left I picked up the 500mm and shot this as he left the podium. It’s got a really nice reflection in the trophy itself and the trophy is quite heavy. 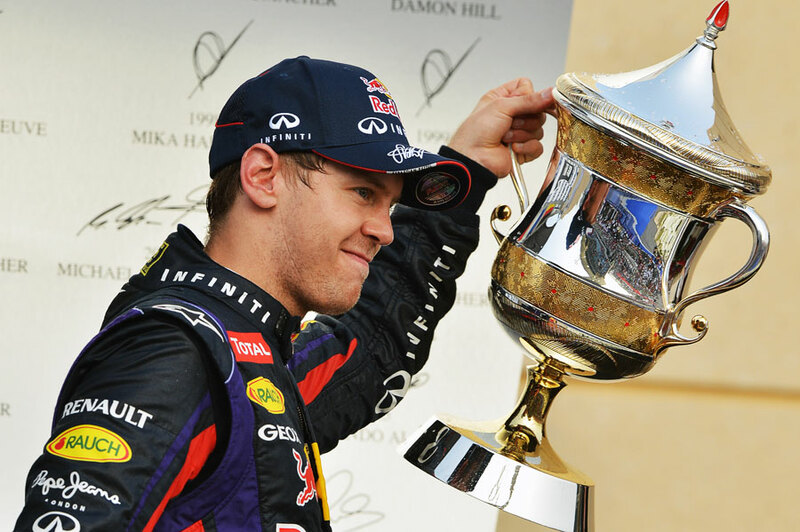 Seb’s holding it in one arm because Gill Jones – who was on the podium to collect the constructors’ trophy – forgot to take it! So he’s got both trophies and is walking off, saluting his team and is right in front of the list of world champions which of course also features his own name. These were taken near turn 14 on the long straight and I couldn’t believe how packed the grandstands were. It was like having five minutes of fame because they were going absolutely crazy at the front as I walked past. 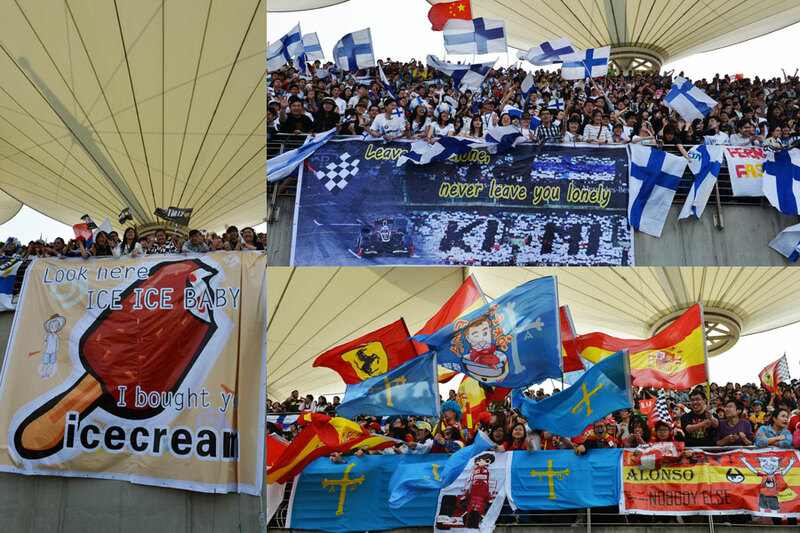 There are loads of Kimi fans in China and I think they just love his attitude. They’ve tagged on to the ice cream thing and his “leave me alone” quote in Abu Dhabi last year. The only other place where the fans are like that is in Korea and Japan and it’s great to see. 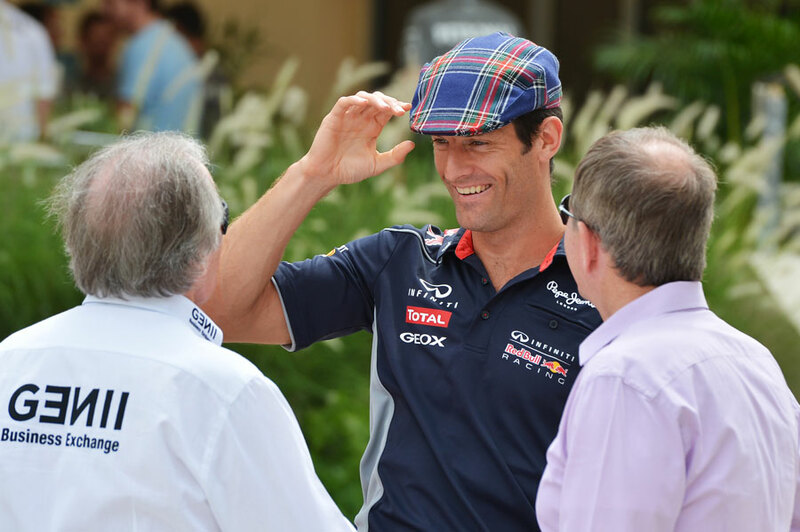 This was a weird moment down at Red Bull on Saturday morning. I captured it as a mechanic sprayed an extinguisher on to the exhaust and engine cover, but I couldn’t see if there had actually been a fire. He just blasted it with the extinguished as it was pushed back into the garage and I’ve never seen that happen at Red Bull. He kept firing it off so I managed to get quite close with my wide angle lens and get this shot. 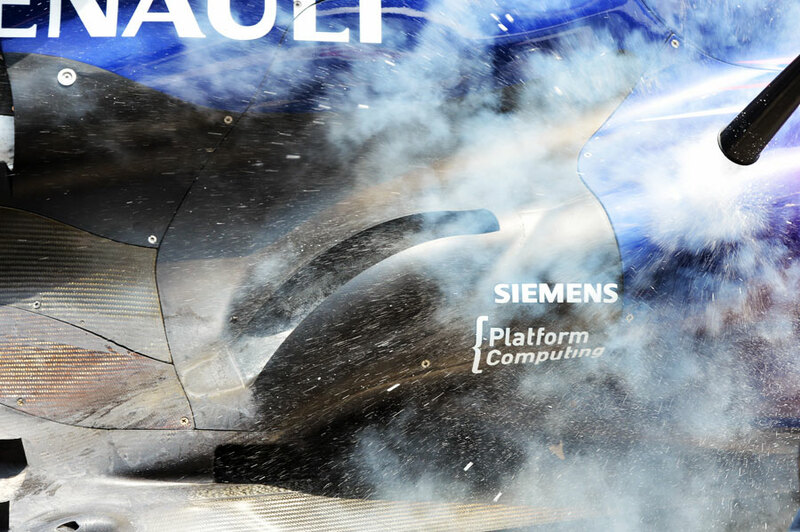 It gives quite a nice effect as the foam hits the heat of the bodywork. I missed the actual collision because I was focusing on an overtaking manoeuvre going on ahead of it at the same time. 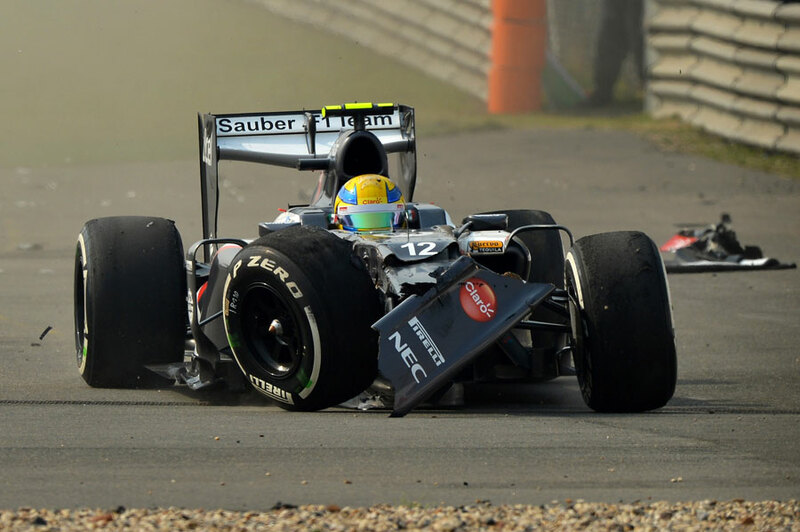 I panned that round and when I looked back I saw Esteban Gutierrez surrounded by broken carbon fibre as he continued into the run off area. The wheel was still attached thanks to the tethers but it was bumping up and down on the front of the car. You can see where the vanity panel has come away and the solid nose of the car underneath. It was just a rookie error and he wasn’t the only one to lock up there, but unfortunately he had Adrian Sutil ahead of him. I saw Mark Webber coasting down the straight so I knew that something was wrong, but I didn’t realise straight away that the wheel was loose. The thing was that he rode the kerb on the inside to let cars through and I think that might have been what dislodged the tyre. If he had not gone over the kerb he may have been alright and maybe he should have gone way out wide instead to get out of the way. When the wheel came off it rolled out to the exit kerb on the shoulder of the sidewall and then rolled back; a bit like if you roll a coin along a table. It was lucky no one hit it and it actually ended up rolling back towards his car. 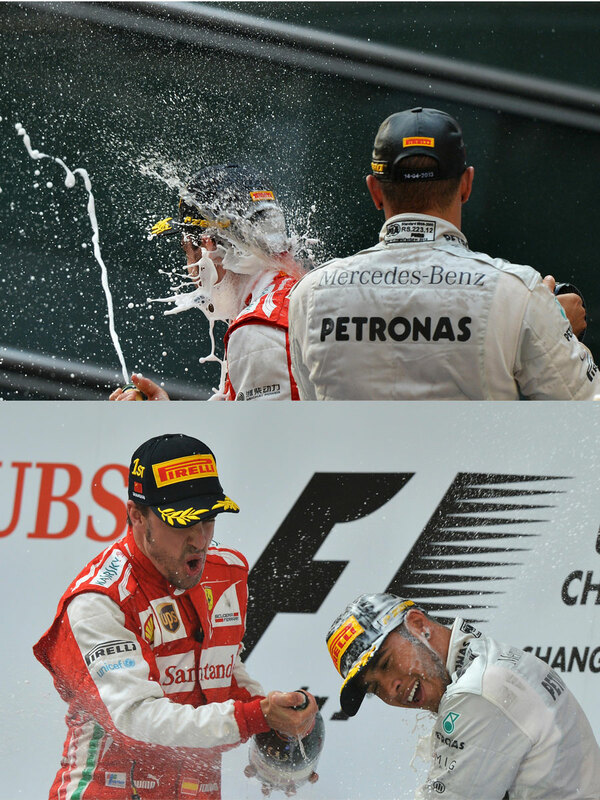 I like these two shots from the podium with Lewis Hamilton spraying Fernando Alonso on the back of the head and then Fernando getting his own back. I managed to climb up the marshal tower on the finish line to take these and shoot back at the podium. I’ve cropped them slightly to take the bars out of the way, but the second one is a great shot for Formula One with the logo in the background. This shot just shows pure emotion. The light is nice and it’s a three-quarter pan down the pit straight that’s tight on Alonso in the car. He’s probably doing 150mph at this point and he hasn’t got either of his hands on the wheel! 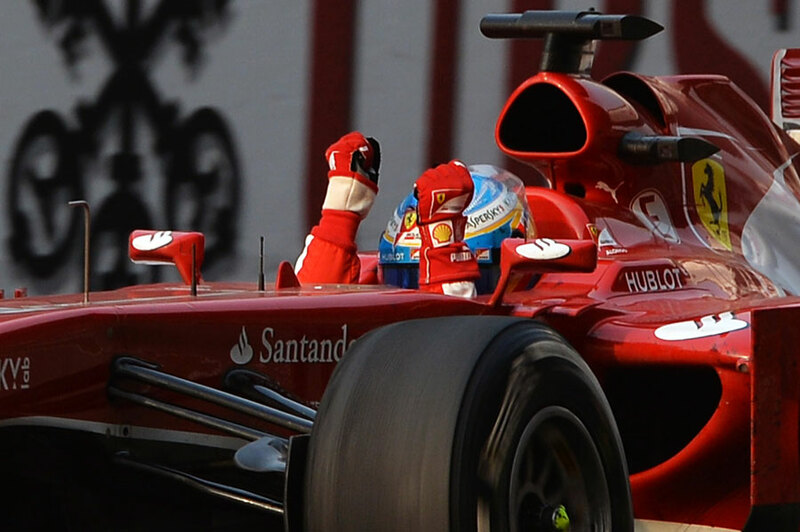 Of course, the cars are pretty stable at that speed but it’s still great to see someone celebrate like that. It’s an important win for Alonso and he’ll be hoping to build some momentum by winning in China after what happened in Malaysia. He was great to watch all race long, overtaking people on the inside and on the outside.